The Abu Dhabi Tourism Authority (ADTA) said less than one percent of tourism jobs in the UAE are taken by Emirates despite a substantial investment in the leisure sector. As the UAE becomes less dependent on oil revenues, it is expected that tourism will account for nearly one third of the economy by 2030. However, tourists generally find they are served by Filipino or Indian tour guides and hotel staff and have little contact with UAE nationals. Officials report that around 12,000 Emirates are listed as looking for full time work but not many pursue jobs in tourism. 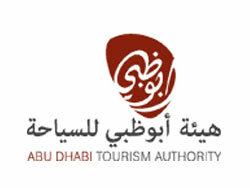 Director of ADTA standards division, Nasser Saif, said “They think like this – ‘Why should I work six days for less salary when in the government they pay more for less time?’” ADTA senior executive in charge of Emiratization in the tourism industry said low wages and prestige are obstacles to attracting emirates the tourism sector.